Pictured above are our star pharmacists Demetrios Papanakios, and Ewelina Kalinowska. They are both extremely friendly, knowledgeable, and always go out of their way for the healthcare of their patients. Our pharmacist Demetri counseling one of his patients on how to use a Rapid Strep Test. Our pharmacists always take the extra time to counsel each and every patient of their prescription and over the counter medications. We believe this aspect of our care is an integral part of our professional duties, which is often overlooked in today’s busy hectic pharmacies. Our pharmacist Ewelina compounding a specialty medication into capsule form for a cat. Ewelina really enjoys, and takes pride in the quality of her compounding. That’s right, we are a full service pharmacy which caters to our little furry friends as well. At Organic Planet Pharmacy, we strive to provide our neighbors with the healthy products they crave and the pharmacy services they need. We truly believe in the importance of healthy living. We carry a wide array of vitamins, natural supplements, herbal medicine, homeopathic medicine, and organic products. We also have a juice bar in the front of our store. "Every human being is the author of his or her own health". Here at Organic Planet Pharmacy, we truly believe that we have an all-star team of pharmacists that care so much about their patients and their community. They always go above and beyond to cater to each patient’s individual needs. Our team of pharmacists speak fluent English, Spanish, Italian, Polish, Arabic, and Greek to accommodate the diverse patient population of Brooklyn, and New York City in general. Demetrios Papanakios, Pharm D: Supervising Pharmacist. Dr. Demetrios Papanakios earned his Pharm D from the College of Pharmacy and Allied Health Professions at St. John’s University in 2009. He has spent the majority of his professional career working in the community pharmacy setting. He is not your average community pharmacist. Beyond his extensive knowledge of pharmacotherapy, he has also extensively studied veterinary pharmacy, homeopathy, and specialty pharmaceutical compounding. He is a big proponent of natural and homeopathic alternatives to conventional pharmaceutical treatment in certain circumstances. In his free time, he often volunteers to perform flu shot clinics and “brown bag” medication reviews in his local neighborhood. He is truly a gem to the Williamsburg community that he serves. Dr. Ewelina Kalinowska earned her Pharm D from LIU Pharmacy at Long Island University Brooklyn in 2014. She has since worked in the community pharmacy setting. Ewelina has a deep passion for the health and well-being of her patients that is unrivaled by anyone else. She always goes above and beyond her responsibilities as a pharmacist. Ewelina is extremely knowledgeable in nutraceuticals, vitamins, supplement, and herbal products. She joined the Organic Planet Pharmacy team in 2016, and we are so happy to have her on our team. Dr. Jawad Saleh earned his Bachelor’s Degree in 2002, and his Pharm D in 2003 as St. John’s University. He is a board-certified pharmacotherapy specialist at the top ranked orthopedic surgery hospital in the U.S, The Hospital for Special Surgery. Not only does he cover the ICU on a daily basis, he is the Manager of Clinical Services for the Pharmacy Department. He is an affiliate clinical professor for St. John's University in Queens, NY where he fulfills a passion to mentor pharmacy students. His hard-work and success has given him the opportunity to present at multiple national seminars throughout the country. 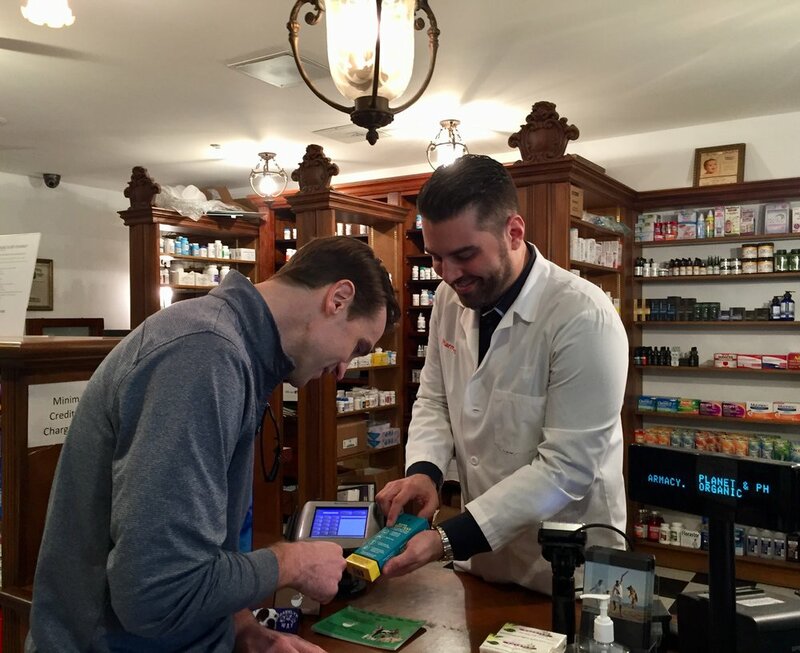 Despite his hectic schedule, he still makes time to work at Organic Planet Pharmacy because he loves to give back to his community, and bring his clinical knowledge to the retail setting.